Lenexa/Overland Park here!! I've seen a couple of sweet XJ's around town but haven't met any of the owners! I'm gonna have to start waving people down! I recently moved to kearney from the rockies and really need to find some trails. I've got a black 00 at 5in. Any trails around here? Welcome to Missouri xj00. My jeep is strictly a daily driving road hog. Lol. 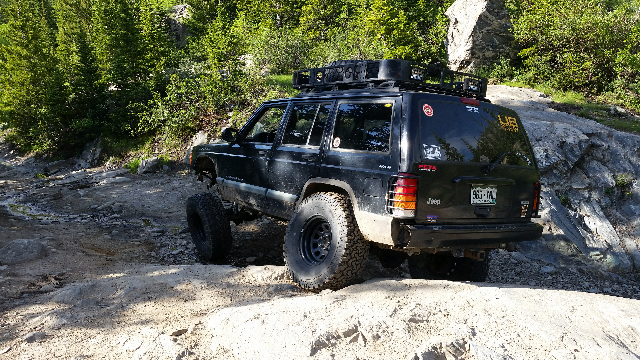 I used to wheel at http://www.bricksoffroadpark.com/ and spent quite a few hours running the Missouri river levys. Be careful on the levies if caught they will try to take your ride. Not a good time when that happens. Do you have a winch on the front? And stickers across the windshield? If so I think you followed my truck up Petty Road this afternoon. 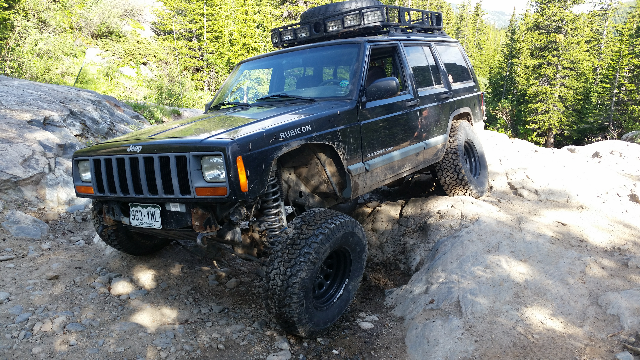 Always nice to see more XJ's around. Kansas City Mo Here, downtown/Midtown area. Last edited by GreaseMonkey17; 05-28-2017 at 08:15 AM.